Is Fresh Fruit Juice Good or Bad For You? 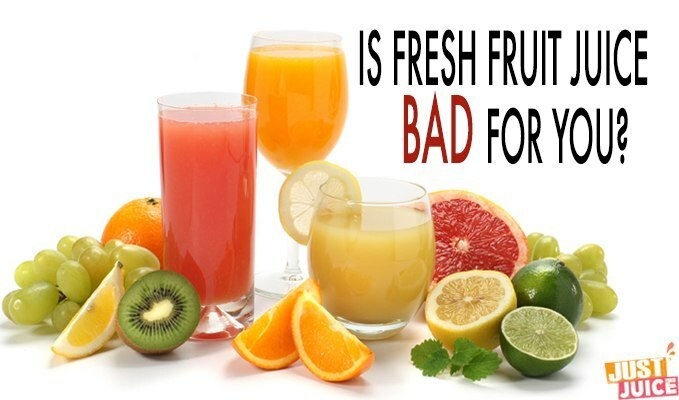 / Juicing Fresh Fruit: Is Fresh Fruit Juice Good or Bad For You? You already know that store-bought fruit juice is generally not good for you, but what about the fresh fruit juice you can make right at home? The question of whether pure, freshly juiced fruit juice is bad for you is slightly complicated. See, fresh fruit is great for you and juicing fresh fruit allows you to consume much more fruit at one time. Sounds good, right? And more of a good thing is...or should be better...but as with many things in life, too much of a good thing can be bad. See, actual fruit contains important components that are lost through the process of juicing. The fiber found in fruits, for example, is what stops you from eating 3 or 4 apples in one sitting - it would just fill you up too much. This is why eating actual fresh fruit isn't much of a sugar threat. Fruit juice, on the other hand, takes out the fiber so you can add 3 to 4 apples (and all the sugar that it contains) and still get only ONE 8-ounce glass of fresh apple juice. And how many of those glasses do you think you can drink? It's this lack of fiber in fresh fruit juice that makes it incredibly easy for anyone to end up consuming much more sugar than they'd like to. It's great when it comes to veggies because it allows for faster, better digestion but in the case of fruit, denies you the handy time-release of sugar that fiber provides. In addition to this, juicing removes some of the fruit's skin (goes toward pulp) in the juicing process. This isn't great news since the skin of the fruit is where the fruit interacts with sunlight and forms a variety of colored pigments, including carotenoids and flavonoids, which are incredibly helpful nutrients that help to protect our skin and bodies from free radicals and other damage. The skin of the fruit often contains the bulk of a fruit's nutrients. Still, I'm not going to say that fresh fruit juice is bad for you per se. Rather, I'd simply like to break our natural association that fruit = healthy, and shift this to a more nuanced understanding of how to consume fruit so it truly is healthy. So, the question we should be asking is not whether "fruit juice" in itself is good or bad for you, but how fresh fruit juice can be consumed to provide the MOST benefits and the LEAST harm. Here are some quick tips on how to drink fresh fruit juice that is GOOD for you. Don't settle for processed, store-bought juice. If you're going to drink fruit juice, make it yourself from pure, natural fruit. Vegetable juices are amazing for you. So instead of drinking all-fruit juices, use fruits as a sweetener to flavor mostly-veggie juices! Adding just a little bit of fruit to your veggie juices goes a long way in the sweetness factor and you'll have overall healthier juices! Fruit is good for you - as long as you don't exceed your sugar intake. Drink as much in fruit juice as you would eat in actual fruit. 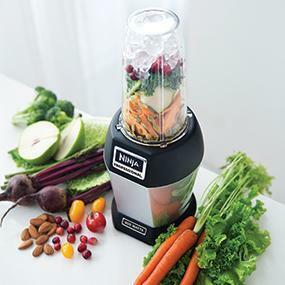 By the best juicer, I mean a juicer that allows close to 100% retention of the pulp and skin of fresh fruit. In my honest opinion - the best juicer for fruits is actually a blender since it keeps all the fiber content intact. 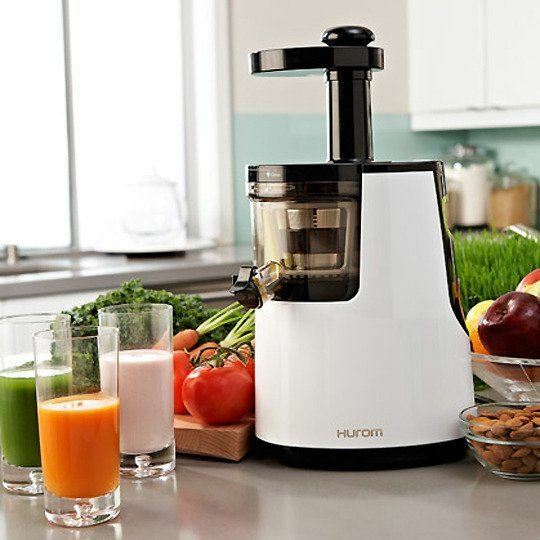 If you plan on juicing a lot of fruit, I highly recommend the Hurom Slow Juicer & Smoothie Maker below since it's a superb juicer for juicing both fruits and vegetables and it also has a great blender function so you can add in your fibrous, mushy fruits to make a mean smoothie. If you plan on juicing mostly fruits, I'd recommend that you save money by splurging on a great blender instead of a juicer. I use and highly recommend the Nutri Ninja, which does a fantabulous job of blending copious amounts of fruit (and veggies) for around $80. Fresh fruit juice is always good for health, but every time it is not possible for us to drink fresh juice due to our busy and hectic schedule. So we should always go for an healthy alternate solution if we don’t have the time to make a fresh juice for ourself. I normally preferred cold-pressed juices from Raw Pressery. They don’t have any kind of preservatives and sugar in their juice. Instead of using sugar to sweeten your vegetable juice, just use fruit for the sweetener.